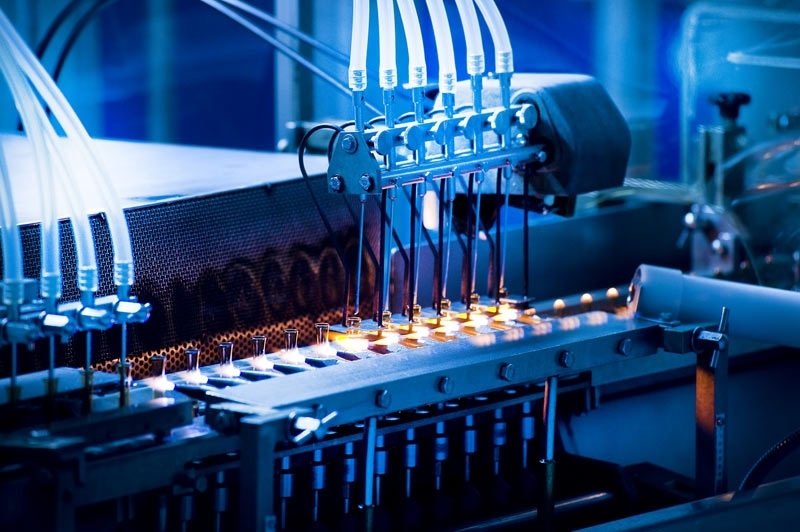 Our completely computer-controlled, continuous, closed-system Sterile Liquid Manufacturing Department has a high processing capacity. The installation, equipped with automatic in place washing and cleaning (CIP - Cleaning in Place) as well as sterilization (SIP - Sterilization in Place) systems, comprises one processing and six storage vessels in addition to two ampoule and one vial filling machines. In this modern facility, designed and built to meet all current Good Manufacturing Practice (cGMP) requirements, relevant room conditions are maintained and controlled with computer-supported systems.